Gujarat High Court on Wednesday ruled that the Prohibition of Child Marriage Act, 2006 is a secular law which specifically deals with the problem of child marriages. 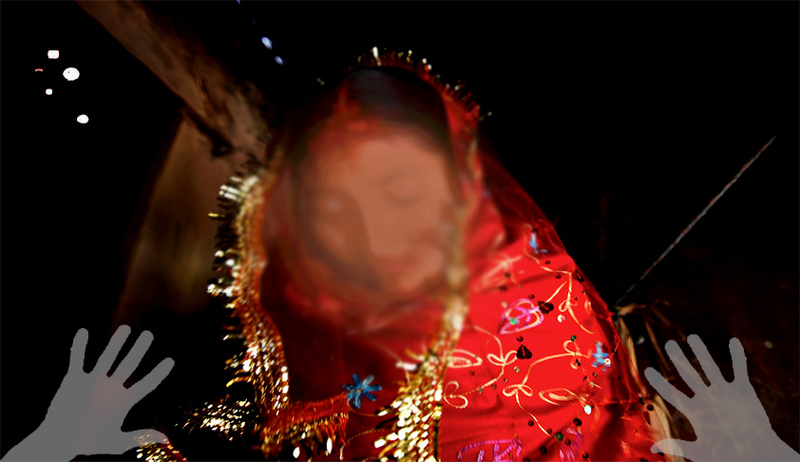 It is also held that the provisions of the Prohibition of Child Marriage Act, 2006 being a "Special Act" and being a subsequent legislation, to this extent and in case there is any conflict, will override the provisions of Muslim Personal Law, Hindu Marriage Act or for that matter any personal law. Religion of the contracting party does not matter. The Court was hearing a petition filed by the accused under Section 482 of the Code of Criminal Procedure, 1973, praying for quashing of an FIR filed against him under Section 366 (Kidnapping, abducting or inducing woman to compel her mar­riage, etc.) and Section 363 (punishment for kidnapping). He was also charged with an offence under Section 18 of the Prevention of Children from Sexual Offences Act, 2012. The FIR had alleged that the accused had kidnapped the 16 year old daughter of the informant. It stated that the two were in love and that the accused kidnapped her from her lawful guardians. The accused, on the other hand, had argued that the girl had left her parental home on her own volition and had decided to get married to the accused. Accordingly, Nikah was performed and the duo was staying together as lawfully wedded husband and wife. The accused had contended that the two are governed by their personal law i.e. Mohammedan Law, according to which, a Muslim girl, who is above 15 years of age or has attained puberty, is at liberty to marry even if the parents don’t consent to it. The accused relied on the decision of the High Court in the case of Mujamil Abdulsattar Mansuri vs. State of Gujarat (Criminal Miscellaneous Application No. 19811 of 2013), submitting that the continuation of investigation by the police would be nothing, but an abuse of process of law. The facts of this case were almost identical to the facts in issue. In Mujamil Abdulsattar’s case, the High Court had held that the prescription of marriageable age has no application for girls belonging to the Mohammedan community as they are governed by the Muslim Personal Law (Shariat) Application Act, 1937. The Court in that case had however, not considered the effect of the PCM Act. The State had contended that the decision of the Court in Mujamil Abdulsattar’s case needed to be re-looked in the light of the conflict between the Personal Muslim law and the Prohibition of Child Marriage Act, 2006. Additional Public Prosecutor K.L. Pandya submitted that the Prohibition of Child Marriage Act, 2006 is a special Act and it does not distinguish between the accused according to his community. He hence submitted that the Act would have application to people belonging to all religions and regions, except for the State of Jammu and Kashmir. He further submitted that the consequences of committing an offence under the PCM Act cannot be avoided on the ground of belonging to a particular religion. He relied on the decision of the Supreme Court in the case of Shabana Bano v. Imran Khan, (2009) 12 SCC 62, wherein it was held that a divorced Muslim woman is entitled to claim maintenance from her husband under Section 125 of the Cr.P.C., even after expiry of the iddat period so long as she does not remarry. Considering Shabana Bano’s case, the State submitted that the decision in Mujamil Abdulsattar’s case is not good law. He consequently submitted that the marriage was in violation of the PCM Act as the girl is a minor, being below the age of 18 years. In such circumstances, it was prayed that the FIR should not be quashed and the Police should be permitted to complete the investigation. The Court found merit in the State’s argument that a statute can always extinguish the customary law and the customary rights. The Court referred to the judgment of the Supreme Court in the case of Radhakishan Laxminarayan Toshniwal v. Shridhar Ramchandra Alshi and Others, 1960 AIR (SC) 1368, wherein it was held that Mohammedan law of transfer of property cannot override the statutory law. The general proposition of law that a special enactment on a subject would prevail against the general principles, was laid down in the case of JK Cotton Spinning and Weaving Mills Co. Ltd. v. State of Uttar Pradesh & Ors., 1961 AIR (SC) 1170. A judgment by the Division Bench of the Madras High Court in M. Mohamed Abbas v. The Chief Secretary, Government of Tamil Nadu, Writ Petition No. 3133 of 2015 was also referred to by the Court. Madras High Court had held that the provisions of the PCM act are in no way against the religious rights guaranteed under Articles 25 and 29 of the Constitution of India. In the light of these established principles, the Court held that the proposition of law laid down in Mujamil Abdulsattar’s case is not good in law. It also rejected the argument that Personal law would prevail over the PCM Act, 2006. With respect to the charge of kidnapping, the bench was of the view that no case was made out to even prima facie show that the girl had received a promise or assurance or any tempting offer from the accused, due to which she was forced to leave her parental home. Accordingly, it ruled that no case was made out under Sections 363 and 376 of IPC, including Section 18 of the POSCO Act. The FIR was quashed to that extent. The Police was however asked to look into any violation of the provisions of the Prohibition of Child Marriage Act, 2006 and file appropriate report before the Trial Court to add provisions of this Act in the FIR. The conflict between Indian law and personal laws has been highlighted time and again through various decisions of the Courts throughout the country. Gujarat High Court had in December last year, upheld the marriage of a minor Muslim girl, observing that, “According to the personal law of Muslims, the girl no sooner she attains the puberty or completed 15 years, whichever is earlier is competent to get married without the consent of her parents.” You may read the LiveLaw story here. This judgment saw disapproval from activists, stating that Muslim Personal Law was wrongly applied to the marriage of a minor Muslim girl, while ignoring the provisions of the Child Marriage Act, 2006. More recently, Lucknow Bench of Allahabad High Court in a Habeas Corpus petition, allowed a minor girl to live with her husband. A division bench comprising of Justices Ajai Lamba and Ashok Pal Singh held that even if a girl is a minor, her marriage cannot be said to be void. The Court also held that liberty of the girl, even if she is a minor, cannot be curtailed without any legal cause. You may read the LiveLaw story here. With regard to the PCM Act, there has been a growing demand for making the provisions of the Act more effective and the punishment thereunder, more stringent so as to eradicate the evil practice of solemnization of child marriages in the country. Another facet that arises out of child marriage is the subject matter of an ongoing petition in the Supreme Court. The Petition filed in 2013 by the NGO, Independent Thought, has sought a declaration that Exception 2 to Section 375 is violative of Articles 14, 15 and 21 of the Constitution of India. The Writ demands that the age of consent for sexual relationship should be declared as 18 years, irrespective of the marital status of the girl child. Last week, NCW was made a party to the petition. You may read the LiveLaw story here.